No big deal. Just turn the marketing department into a revenue-driven organization. Why? 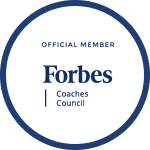 By putting your focus on achieving solid, demonstrable results, you're unlocking that ability to understand what customers are responding to and turn that investment into your department into easily proven growth fuel — not waste expense. 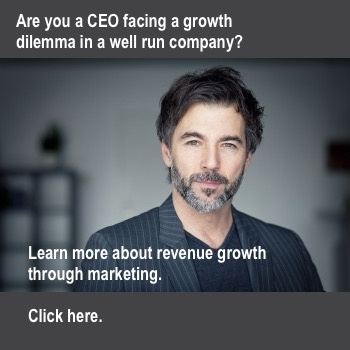 Overall, you’re going to need seven to ten per cent of the top-line revenue allocated to your marketing programs, activities, and campaigns for the next fiscal year if you want to transform into a revenue-driven marketing department. This two-part series will explain exactly why US and Canadian companies need to adopt this approach. The marketing foundation budget is all about getting the basics in place. The meat of the marketing, if you will. Payroll for your staff and developing front-facing stuff that will attract your leads and deliver the value that gets them hooked. We’re talking a content strategy, and the creation of that content. What success story can you turn into a case study? What niche expertise can you share in an eBook? How can you leverage your organization’s knowledge as ongoing series of blog posts? And how you do intend to support and promote this content through social media and media buys? These are the building blocks of story-telling for your revenue-driven marketing department which will build trust in your traffic and help nudge them over to fill in forms and get in contact. You’re telling your personas why they should buy from you. 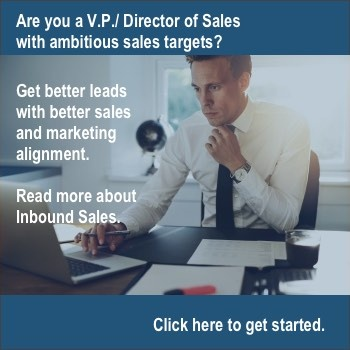 Don’t do lead generation without this step. Marketing technology is the tricky bit. There are 6,000-7,000 marketing technology stack options out there contending for your budget. 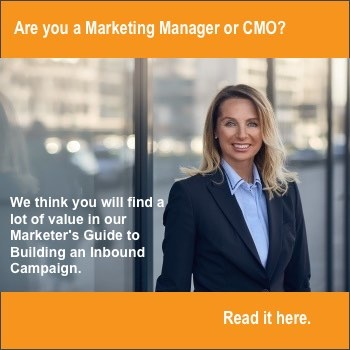 As the CMO, it’s vital you wear your digital leader hat to understand what the right one can bring to your team — and be an advocate throughout your organization for the transformative results you know it will enable. There are different benefits to different systems. Some of the big ones are Marketo, Adobe, Infusionsoft — and our favourite, HubSpot. We find HubSpot’s amazing at streamlining and accelerating your campaigns, but whatever the case, it’s so important to allocate a budget for a consultant to do a solid comparison on what marketing stack you need. You’ll also need a budget for training your internal team on how best to use your new marketing stack. And you’ve got to learn how to be in the driver’s seat. Last, one thing we always see missing from any budget is an effective on-boarding process. It will take at least six months for larger organizations to move into a holistic marketing automation platform like HubSpot before seeing real results. This can be a shaky time, but you’ve got to plan for it and identify opportunities for quick wins as you stay the course toward the larger, long-term growth a revenue-driven marketing department promises. 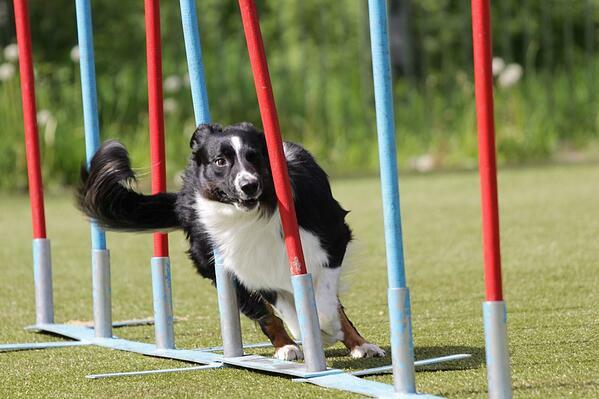 This dog has its eyes on the prize, and it's not going to let a few obstacles get in the way. It's agile, able to make quick turns and weaves and adjust its trajectory while maintaining efficiency and speed as it encounters each new pole. It's not trying the same thing over and over, but actively moving ahead. We’ve worked with so many organizations where, in their mind, the campaign is spend-to-be-seen. When it comes to getting decision-makers to come back, we’re talking about spending to be seen five, six, maybe ten times before you get anything to show for it. You’ve got more to gain by becoming more efficient. Even if you’re getting acceptable results on the media buy, face it, you’re in a bidding war. If there’s a more cost-effective way to get that same traffic, you ought to fully exploit it. If there's some way you can dodge through and blaze a faster, more effective path while the competition is caught up competing with rising bids stuck at the gate, you need to know about it. But that’s for next week, in Part Two — along with the Marketing and Sales Alignment and Account-Based Marketing strategies you also need to know about. 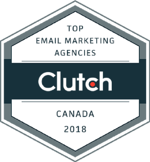 Flawless Inbound has helped more than 60 companies across Canada and the US achieve and exceed their revenue growth goals through exactly these methods. 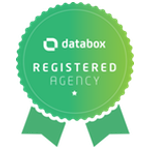 Want to know how we can turn you into a revenue-driven marketing department? Reach out here or get more information for Marketing Managers. Also, we’ve got a book out! 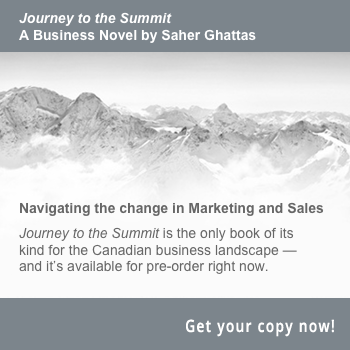 It’s packed full of marketing secrets and advice just like this gleaned over years of experience in evolving marketing strategies, business success, and the technology that enables it all. Get it here.